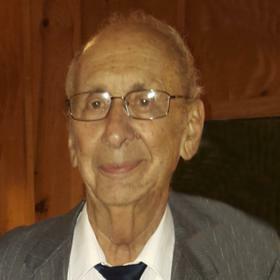 Mr. Lawrence Joseph Garzelloni, age 92, passed away Thursday, November 29, 2018. 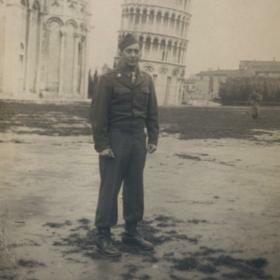 He was born in Muskegon, MI on July 30, 1926 to Joseph & Susan (Ruggari) Garzelloni and served his country in the US Army during World War II. Larry married the former Rose Campagna on July 31, 1950. He had been employed at SD Warren for 18 Years and Meier Cleaner. Larry was a member of Our Lady of Grace Catholic Church and enjoyed sports, baseball and time with his family. Wife of 68 years, Rose; sons, Joseph Garzelloni of Kalamazoo, Paul (Michelle) Garzelloni of Muskegon, Eric Garzelloni of Clawson; daughters, Victoria (Brad) Thum of Alma, Francine (Dennis) Harris of Norton Shores; Gina Garzelloni of Muskegon; grandchildren, Brandi Zoss, Kristin (Jason) Winn, Susan Zoss, Jo Johnson, Christopher (Monica) Garzelloni, Paul (Patty) Garzelloni, Lisa (Jake) Fischer, Lillian (Tommy) Garzelloni, Dennis Harris Jr., Steve Harris, Nicholas Thum, Samantha Thum, Zackary (Janay) Thum; 13 great grandchildren; sister, Philomina (George) Mann of WI. He was preceded in death by sister, Vera Meyer. Thursday, December 6, 2018, 10:00 AM with visitation one hour prior to the service at Our Lady of Grace Catholic Church with Fr. Matthew Barnum officiating. Internment in St. Mary's Cemetery.